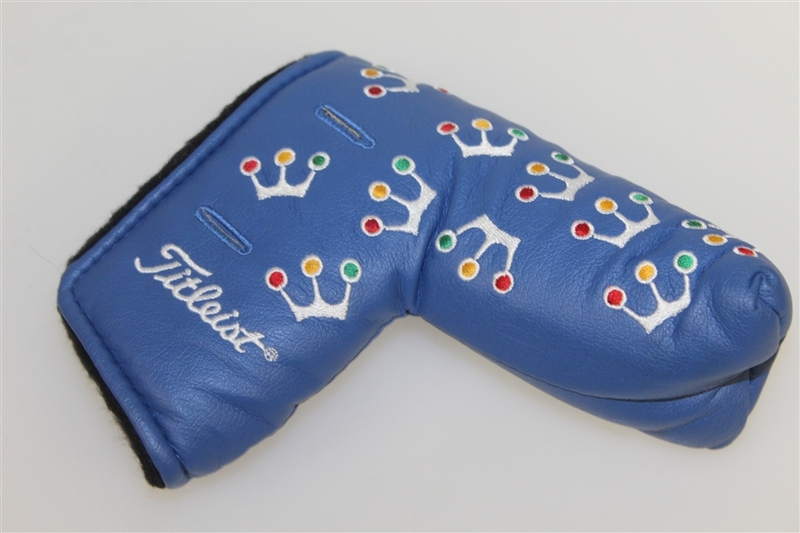 The Blue Mini Crown cover was limited edition. It was exclusively made for the Studio Store in 2002. It was the first in the Mini Crown series. The head cover has the Cameron trademark crowns dancing in white on a royal blue background. 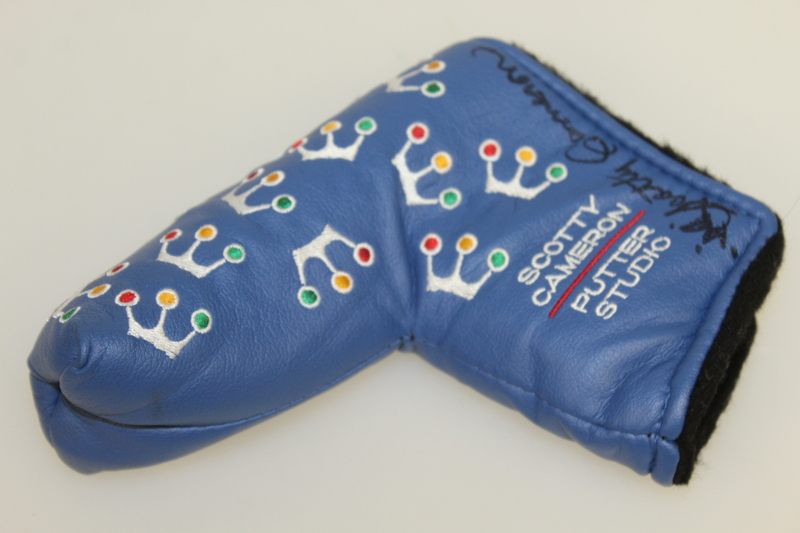 This cover has Scotty Cameron's signature in black in along heel of the cover. 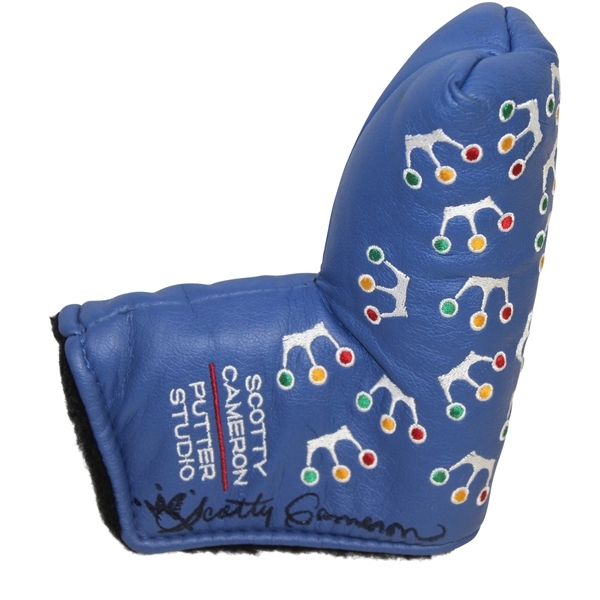 This playful cover are the perfect accessory for your putter. 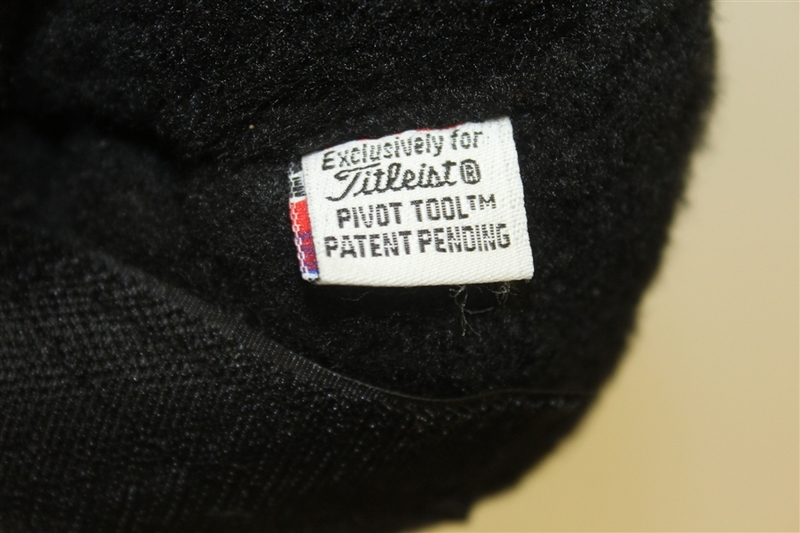 Note that a divot tool does not accompany the cover.